I’ve been jonesin’ for Rosé since returning from Paris and I’m no wine expert, but I could be with the variety I’ve enjoyed over the years. I’m just not interested in being an expert, preferring to enjoy what I’m sipping when I’m sipping it. Often. I do know enough to get me in trouble, however, and so while we were on vacation, I spent the two weeks away from my usual Chardonnay, which when one is from California, is a staple. On advise from that Frenchman we met at Heathrow who kindly made a list of wines to try, I enjoyed Chablis, Sauvignon Blanc, Viognier, and Rosé whenever we slowed down enough to relax and have a bite to eat. Especially Rosé. Yes, that pink, somewhat salmon or coral hued wine frequently thought to be something it completely isn’t: White Zinfandel. Color and grapes may be all White Zinfandel has in common with Rosé, which is much different — it isn’t sweet, it isn’t made from the same type of grapes, and it can be quite pricey from my wallet’s perspective. 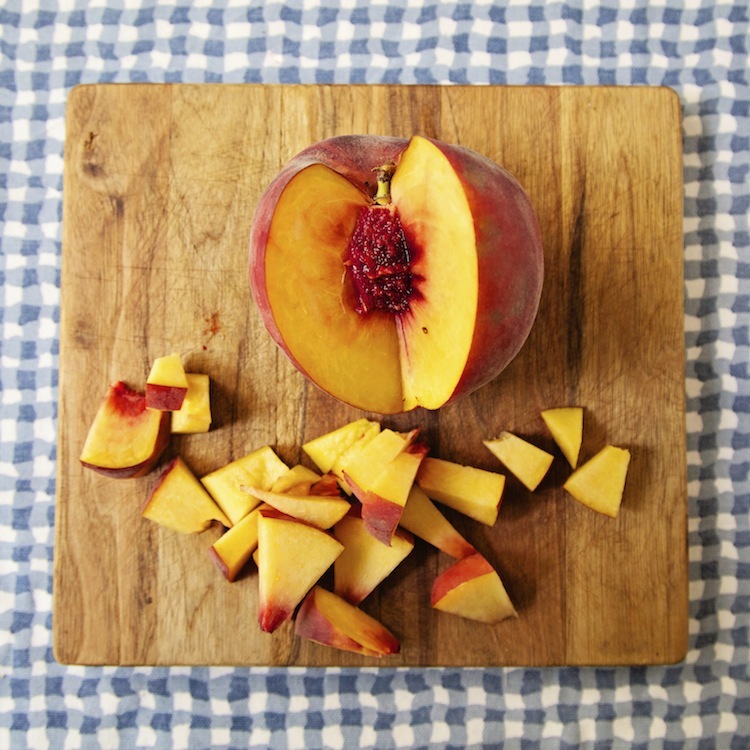 There are inexpensive labels around, though, and they’re perfect for a sangría in the summer like the one I’m sharing with you made with the best of the season’s stone fruit: juicy peaches, California’s Santa Rosa plums, fragrant apricots, pluots, cherries, and a new one to me — mango nectarines. Sangría is a traditional Spanish drink popularized in the US in the 1960s made with dry red wine, freshly squeezed citrus juice, and sliced pieces of citrus added. Maybe. There are too many variations of Sangría now to count, but the important thing is that if you make it yourself, make it to suit your own tastes. If you haven’t tried it with Rosé, then this is a lovely recipe to try and suited to summertime get togethers when you’re grilling, or planning a picnic. Prepare all fruit either peeling or leaving peelings on to your preference. Place it in a pitcher you can pour from or a wide mouthed container to use a ladle with. Pour one bottle of inexpensive Rose over the fruit. Add the peach brandy next. Mix the Perrier with the raw sugar and stir until dissolved. Add the mixture to the pitcher. Provide ice cubes and more sugar for those who desire more sweetness. I loved this — I knew I would. 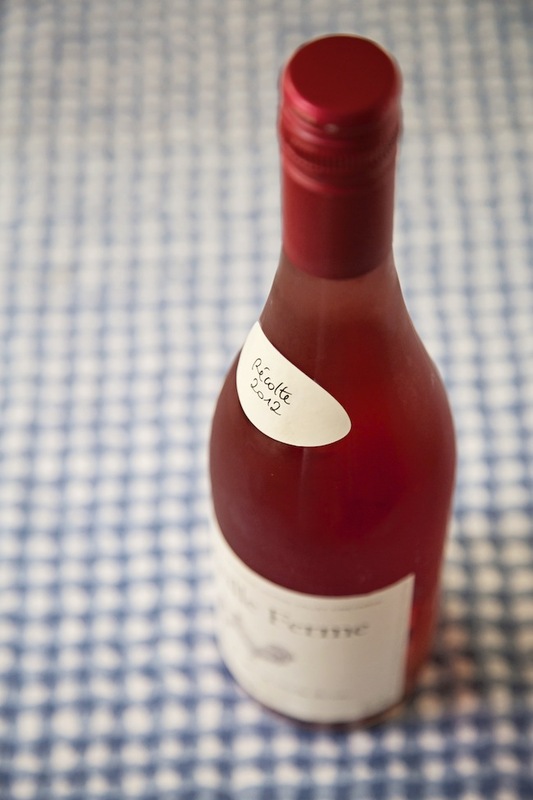 Rosé is such a lovely summer wine and using it to make sangría is perfect. 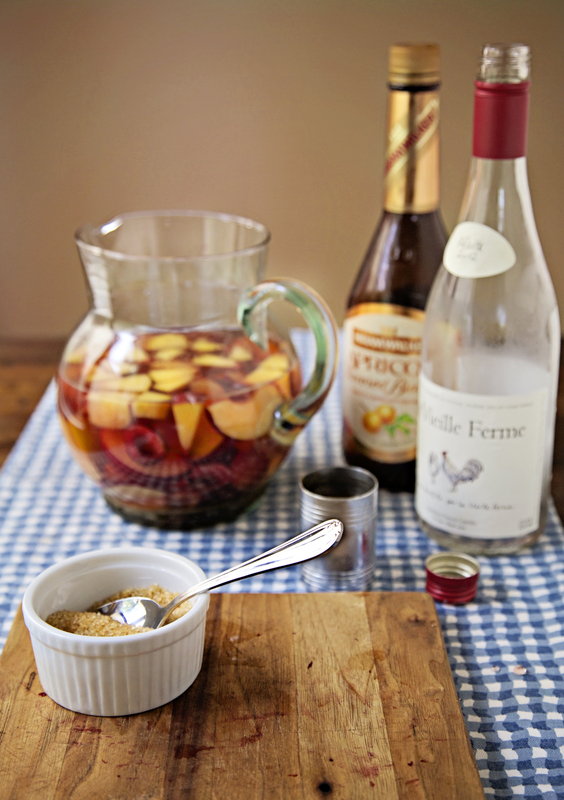 Make sangria with whatever inexpensive wine you enjoy — but taste it before adding sugar. Add the sugar one spoon at a time, stirring well until dissolved before adding another. 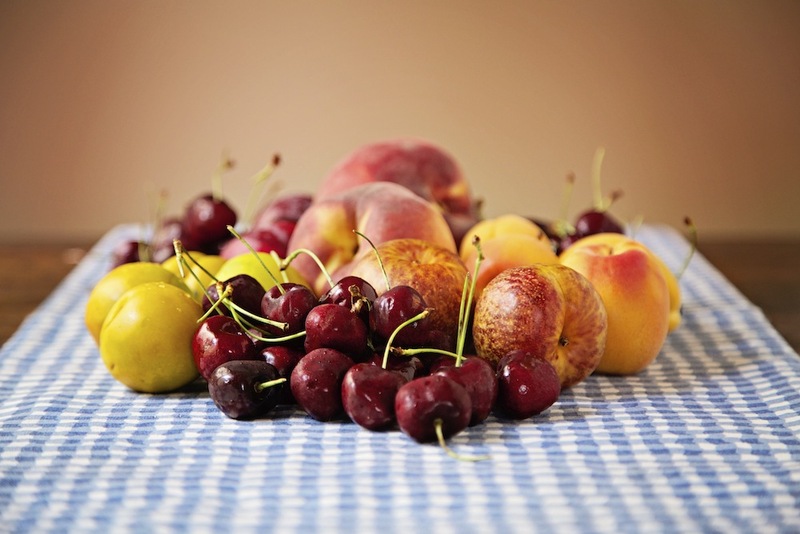 The peach brandy is optional, of course, but many sangria recipes use brandy, or citrus liquours such as Triple Sec, or Cointreau. 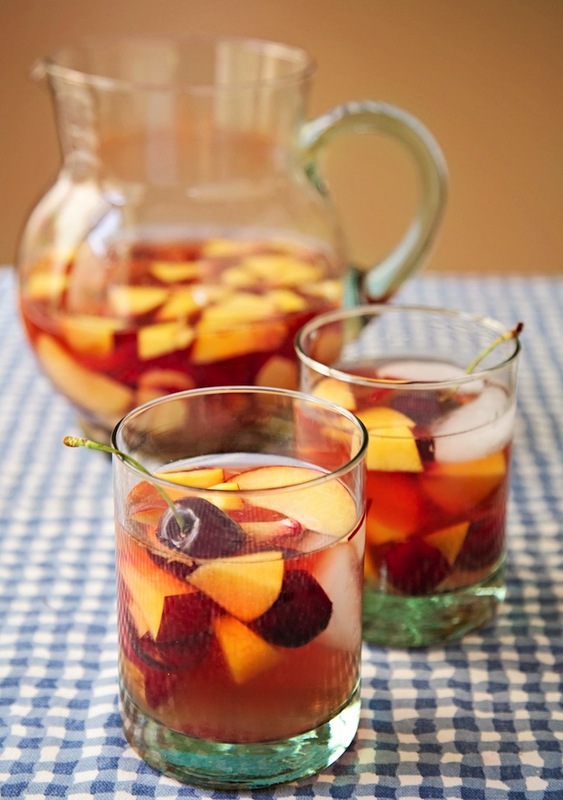 A little bit goes a long way but does add to the over all flavor of the sangria. You may consider adding a bit of Kern’s peach nectar. 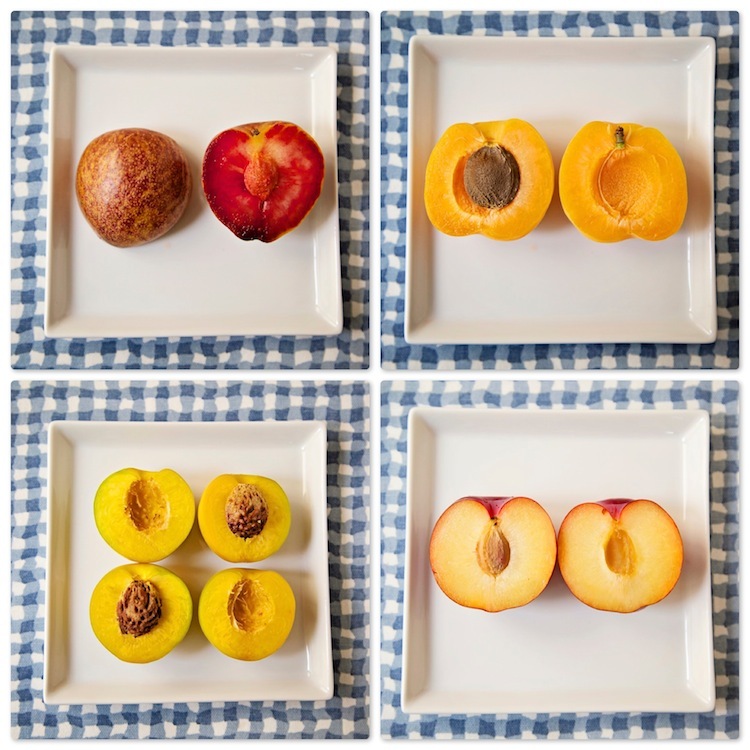 Use any combination and/or type of stone fruit you have available and make sure it is nice and ripe. 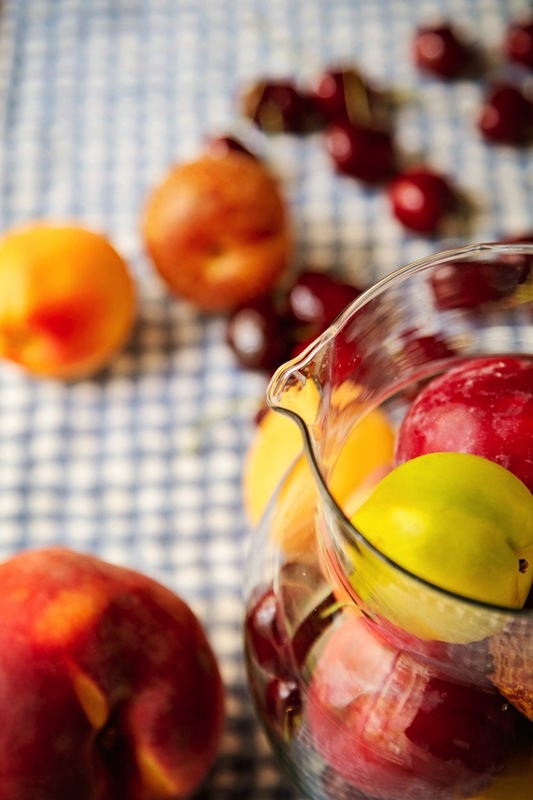 It’s the sweetness that lends flavor to the sangria. An option to add sweetness is to squeeze fresh citrus juice. Orange, lemon, and lime are all excellent — or better, a combination of the three. If you don’t have time to let this sit in the fridge for a couple of hours (or longer which makes the flavor fabulous), don’t let that stop you from making it. Adding lots of ice to the liquid mixture before adding fruit will chill it quickly, but will also water it down, so increase the quantity of the liquid ingredients to compensate. Then add the fruit.